Great color addition on our thoroughly modern pearl necklace. 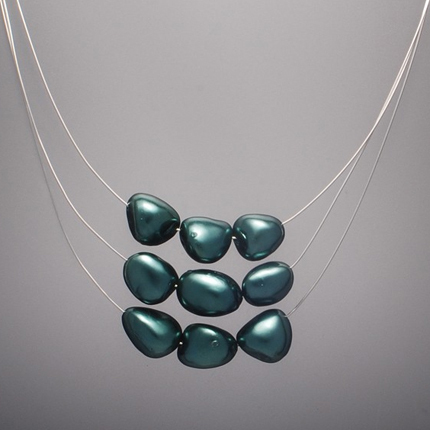 Dark green colored freshwater pearls on fine silver wire. Perfect for any season, but especially fall! Please specify length (of shortest wire) when ordering.